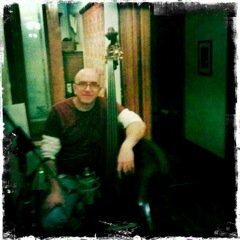 Welcome to the website of Steve Count, a NYC-based veteran bass player. 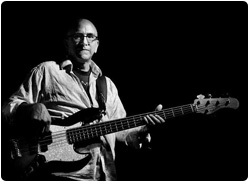 Over his 30-year career as a professional electric and acoustic bassist, Steve has performed, recorded and toured with some of the biggest names in the music business including Donna Summer, Bette Midler, Ben E King and Debbie Harry. His prolific work spans almost every genre of music – jazz, blues, R&B, rock ‘n roll, country, Cajun, Bluegrass, disco, folk, classical and pop – and he has played at world-famous New York City venues including Madison Square Garden, Carnegie Hall and the Blue Note Jazz Club. Throughout his career, based in the NYC metro area, Steve has played in numerous Broadway and off-Broadway shows including the award-winning musicals Side Show Mamma Mia, Aida and Billy Elliot, and has performed with various symphony orchestras including the Edmonton Symphony, the Nashville Symphony and the New York Pops. For the last 10 years, Steve has been on faculty at the Bass Collective in Manhattan. Click here to see more Photos…. Steve has also played in numerous Broadway and off-Broadway shows including the award-winning musicals Mamma Mia, Aida and Billy Elliot, and has performed with various symphony orchestras including the Edmonton Symphony, the Nashville Symphony and the New York Pops. For the last 10 years, Steve has been on faculty at the Bass Collective in Manhattan. Click here to see more Videos….